Vicki Lindner is a fiction writer, essayist, and journalist who has published a novel, Outlaw Games, and many short stories, essays, magazine and newspaper articles. She has written about a wide variety of subjects: cooking, bird watching, loneliness, dinosaurs, sculpture, not having children, travel, and medical malpractice. 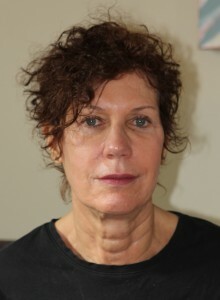 Her work has appeared in journals and anthologies, including The Paris Review, Kenyon Review, Ploughshares, Fiction, Chick-Lit; Post Feminist Fiction, Witness, the Best of Terrain, Del Sol, The American Literary Review, Gastronomica, New York Stories, In Short: An Anthology of Short Creative Non-Fiction, American Nature Writing, Northern Lights, and The Seneca Review. Her short story about karate, “Barefoot to the Bridge in Winter,” was the Fiction Premiere for New York Woman. Most recently, Lindner’s essays were published in Shadowbox and Western Humanities Review. Before moving West, Lindner worked as a freelance writer for publishing companies and magazines in New York City. Her collaborative project, The Money Mirror: How Money Reflects Women’s Dreams, Fears, and Desires, with psychotherapist, Annette Lieberman, was published in three different editions and featured on The Oprah Winfrey Show. An Associate Professor Emerita at the University of Wyoming, where she taught creative writing to undergraduates and MFA students for twenty years, she has lead workshops for teenagers and adults at Naropa, the Brockport Writers Festival, the Helena Writer’s Conference, Colorado State University, and community colleges. The recipient of awards from the National Endowment for the Arts, New York State, and the PEN/NEA Syndicated Fiction Project, she also won two nonfiction fellowships from the Wyoming Arts Council. Lindner is currently working on a memoir, with the working title, “Baby, It’s You.” She lives on Denver’s Capitol Hill.